At least ten civilians have been killed in two separate airstrikes in Syria by military aircraft involved in the so-called US-led military campaign against the ISIL Takfiri militants. The Syrian Observatory for Human Rights announced on Saturday that three people, including a child, died in an air raid on Thursday night against a village in the northeastern province of al-Hassakah. Seven other civilians were killed when an airstrike hit a gas plant on Friday near the town of al-Khasham is the eastern Deir ez-Zor Province, where ISIL militants are in control of the majority of the oil-rich area. Since late September, the US along with its regional allies, has been conducting airstrikes against the ISIL inside Syria without any authorization from Damascus or a UN mandate. This is while many of the countries joining the so-called anti-terror coalition, such as Turkey, Saudi Arabia and Qatar, have been the staunch supporters of the ISIL Takfiri elements in the Middle East region. 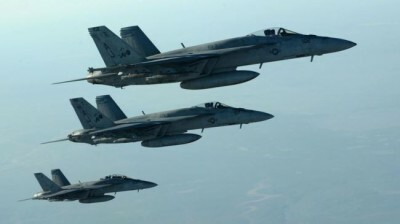 The airstrikes by US and its allies are an extension of the US-led aerial campaign against the ISIL positions in Iraq, which started in August. The ISIL terrorists currently control large swathes of territory across Syria and Iraq. They have committed terrible atrocities in both countries, including mass executions and beheading of local residents as well as foreign nationals.